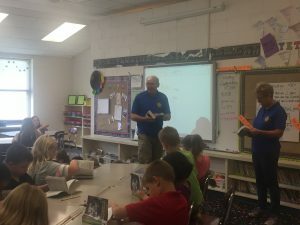 Home / School News / Shout out to Kiwanis Club for the Dictionaries! Shout out to Kiwanis Club for the Dictionaries! Clyde Cardinals would like to say “THANK YOU” to the Kiwanis Club for giving each 3rd Grader a dictionary! The club not only gave students books, they increased the excitement for building vocabulary which will last a lifetime!